In 2017, Environmental Protection Agency administrator Scott Pruitt’s protective detail believed he needed emergency assistance at the condo he was living in. The EPA reimbursed the condo’s landlord. On March 29, 2017, Pruitt’s protective detail reportedly believed he was unconscious and and needed emergency help. The detail initially banged on the building’s front door and tried calling to get his attention, but they were unsuccessful. Pruitt’s detail eventually broke the glass-paneled door and walked up the stairs to find Pruitt still dazed from a nap, two sources said to ABC News. Pruitt reportedly declined medical services and a police report was not filed. The EPA paid for the damage to the condo, which was co-owned by an energy-lobbyist’s wife. Pruitt lived in the condo for six months in 2017. 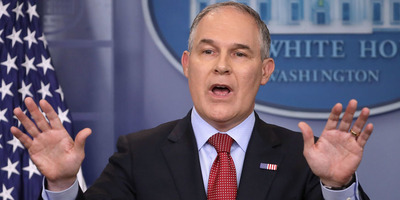 Pruitt’s living arrangement raised questions after a Bloomberg report found that his single bedroom in a prime location was rented out to him for $US50 a night. Pruitt paid only for the nights he slept at the unit for a total of $US6,100 for six months.